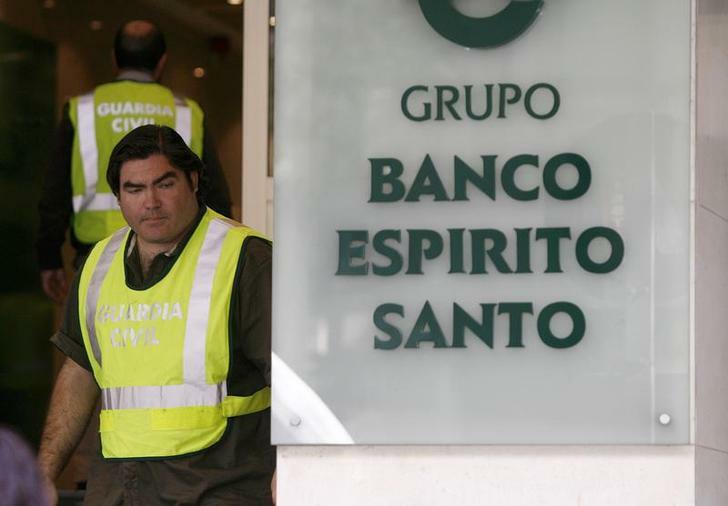 A solution to the Banco Espirito Santo debacle looks increasingly likely to involve creditors. The troubled Portuguese lender revealed a much bigger-than-expected 3.6 billion euro loss on July 30 and warned of possible past law-breaking. If the kitchen-sinking was intended to help fill BES’s capital deficit with private investment, it may not work. BES’s 4.2 billion euros of provisions were around 1.5 billion euros more than could reasonably be expected from its known problems. Over 2 billion euros have now been made against direct loans and indirect guarantees made to its Espirito Santo Group parent; 460 million euros to prepare for euro zone stress tests; and 450 million euros for other problems, such as Angolan exposures. Less anticipated was a 1.2 billion euro provision against debt sold to BES clients but booked off-balance-sheet through special purpose entities – seemingly without the knowledge of BES’s outside directors. The Bank of Portugal has now suspended senior management in risk, audit and compliance, and is assessing whether previous board members and executives should bear criminal responsibility. Blame will be apportioned in due course. The pressing question is how to raise the 3 billion euros needed to restore BES’s capital ratios to around 10 percent. Potential private investors will have wanted a settlement with final losses from the bank’s Angolan exposure. Although BES took a couple of hundred million euros more against losses, it has a 3 billion euro interbank loan to BES Angola. The bigger issue for any new investor is that fresh nasties keep emerging – and they are news to current management and the regulator. BES reckons outside investors are ready to stump up new equity. But anyone who contributed to the last capital increase is sitting on a big loss. Until the uncertainty is cleared up, that leaves two options – using the 6 billion euros of state capital, or some kind of burden-sharing of creditors. With BES shares dropping another 29 percent on July 31 and the bank’s subordinated debt dropping 20 cents to 58 cents on the dollar, investors seem to be bracing for the latter. Shares in Portugal’s Banco Espirito Santo plunged as much as 51 percent on July 31, after the troubled lender reported a 3.6 billion euro ($4.8 billion) first-half net loss and its new management team disclosed details of irregularities in dealings with other companies related to the founding Espirito Santo family. The Bank of Portugal, BES’s regulator, said in a statement on July 30 that it had removed top officials responsible for audit, compliance and risk management functions; had ordered the lender to produce a plan for a new capital raising; had suspended the voting rights of BES’s largest, founding family-linked shareholder; and appointed an interim supervisory board consisting of managers from auditors PwC. The central bank said BES’s external auditor had identified in the second half of July a previously unforeseen 1.5 billion euros negative impact that meant the lender was now in breach of its minimum capital requirement. BES said its common equity Tier 1 ratio at the end of June was 5 percent, below the 7 percent minimum threshold. By 1111 BST, BES shares had recovered ground to stand 27 percent lower at 0.25 euros.